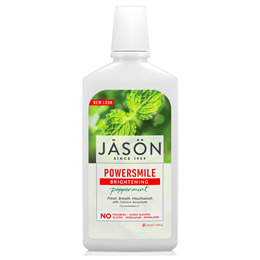 Powersmile Mouthwash freshens your breath and keeps your mouth healthy, without harsh abrasives or irritating chemicals. Freshen your breath with powerful peppermint oil and menthol while grapefruit seed and perilla seed extracts help reduce tartar build-up. Aloe vera gel soothes gum irritation. Powersmile Mouthwash is concentrated 2:1. If reduced intensity is desired, dilute one part mouthwash with one part water immediately before each use. If more than one dose is accidentally swallowed, seek professional assistance or contact poison control center immediately. 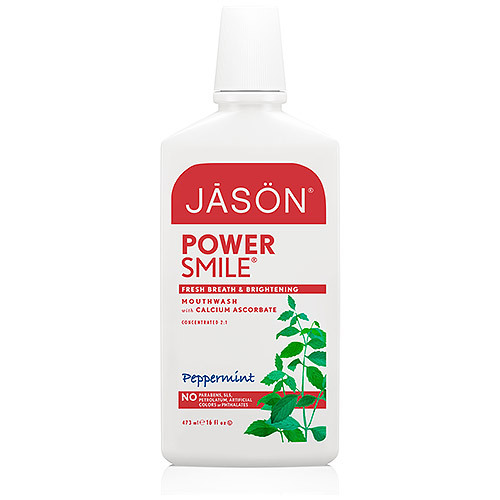 Below are reviews of Jason Powersmile - Mouthwash - Peppermint - 473ml by bodykind customers. If you have tried this product we'd love to hear what you think so please leave a review.